The EMEA (Europe, Middle East and Africa) division of AppleCare is allegedly hiring and training new staff on certain aspects of Apple's upcoming OS X 10.8 Mountain Lion, possibly hinting that a release date is soon to arrive. According to an unnamed source familiar with the matter, AppleCare EMEA is hiring a number of new employees who will serve as customer support for the new operating system that has yet to receive an official launch date. The source went on to say that Mountain Lion may be just a few weeks from launch as internal training recently commenced regarding certain facets of the operating system. Apple usually restricts the operating window of support staff training to a minimum before large product release presumably to avoid leaks. Though purely speculation, the training could point to a OS X 10.8 debut at WWDC 2012 which is scheduled to take place from June 11 to June 15. Although AppleInsider cannot validate the claims, the source has proved accurate in previous reports. 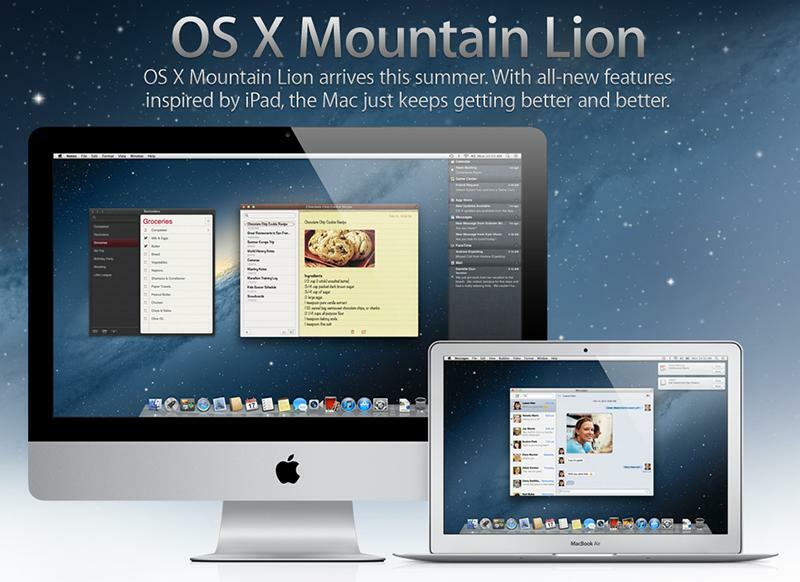 OS X 10.8 Mountain Lion was announced on Feb. 16 with an expected release date of summer 2012. Beyond the basic information provided on Apple's website, developer previews have revealed that the new OS will offer a bevy of new features like Messages and more comprehensive integration with iCloud that will further blur the line between OS X and iOS. It was recently reported that Apple accidentally revealed a banner notification on its iCloud.com website, a feature that will also be included in Mountain Lion.